Marty is a small, young, male mixed breed, possibly a cross between a terrier and a collie. He is about 2 years old and is very amiable. He seems to get on well with other dogs and walks well on the lead. He has an old untreated injury to one of his front legs which makes him hold the leg up for a lot of the time, but it does not seem to worry him and he walks and plays quite happily. The vets have checked the injury and say that he has adapted well and does not seem to be bothered by it. 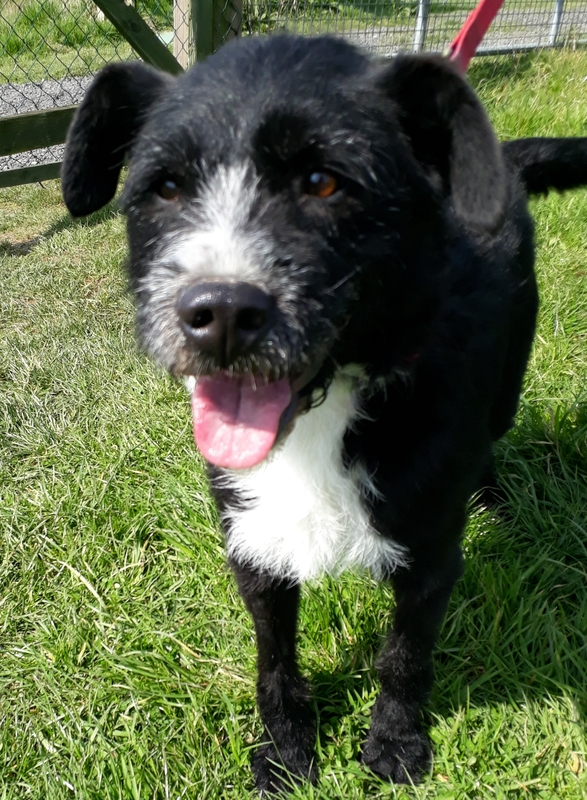 Marty has been neutered, microchipped and vaccinated and can be visited at the KWWSPCA Animal Shelter near Athgarvan from 1.00 – 3.00 Mondays to Saturdays. For more information about Marty, please call 087 1279835 or email kwwspca@gmail.com. We ask for a minimum donation of 150 euro when we rehome a dog to partly cover their veterinary and other costs, and a home check applies.